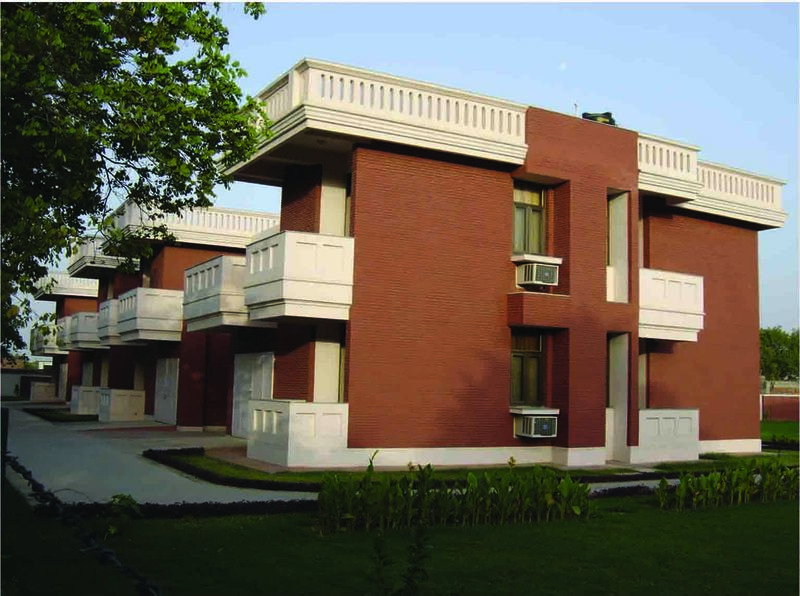 Ready to move in residential flats required for the visiting faculty of IIT Kanpur were taken up with a view to cater to the needs of the faculty, which were also had a concern for the environment in respect of matching exterior finish with existing buildings around. 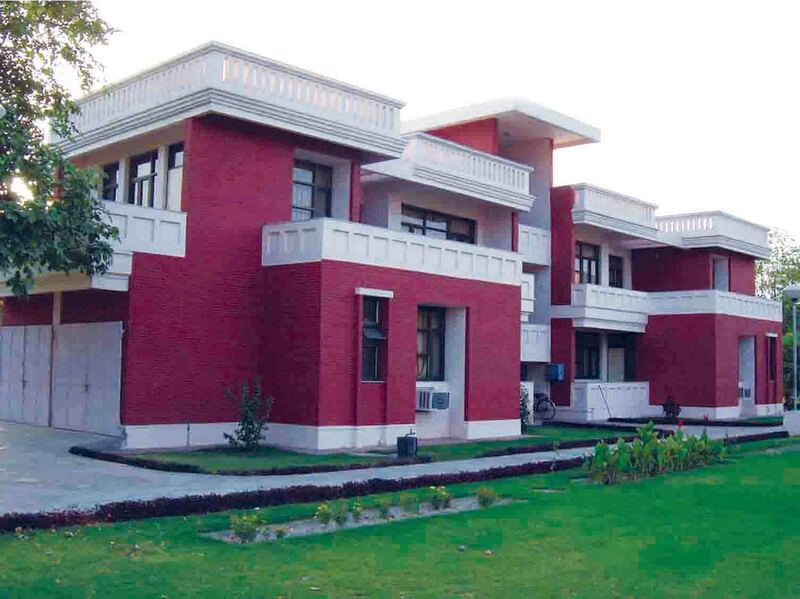 These flats were grouped and arranged in a triangular shaped land with special emphasis on energy efficient building design incorporating cavity walls for heat insulation, eco-friendly materials in doors/windows and other items, solar glass, brick-Coba along with broken China Mosaic tiles on roof top to reflect the incident solar radiation, tall and thick foliage plantation towards west and south and rain water harvesting etc. 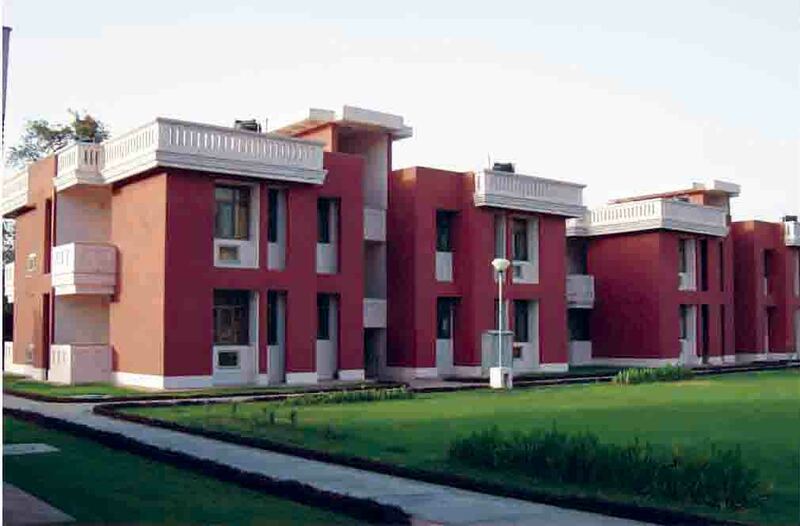 Keeping in tune with the prevalent exterior finish of the buildings in the campus having exposed brickwork, the partial area in concrete/plastered finish this building was also attempted on the same pattern, the building was conceived by the double storied structure horizontally spread out and well connected to the existing old R.A Hostel Block on the north side.